It would seem, by now, all possible designs of a photographer’s bag have been realized. And, it’s iterations upon those designs from here on out. 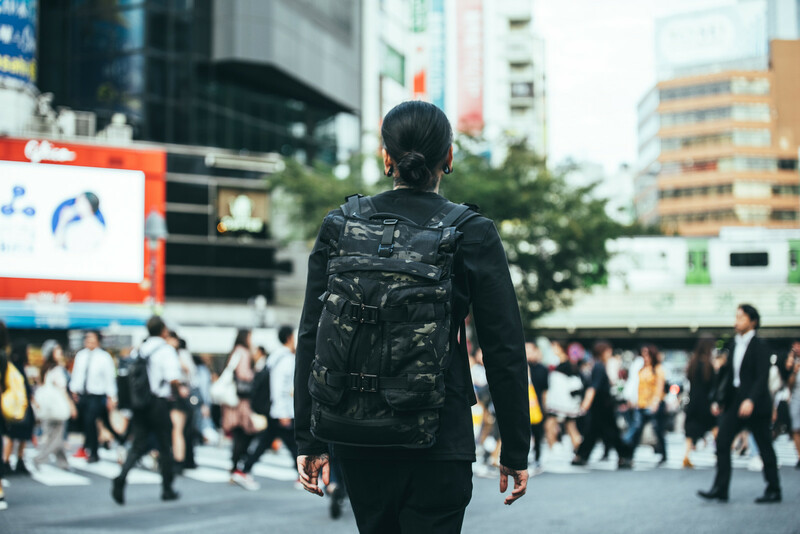 Well, Mission Workshop went and changed camera bags up by combining the features of a messenger backpack—roll top, waterproof materials—and adding a well-organized capsule insert. 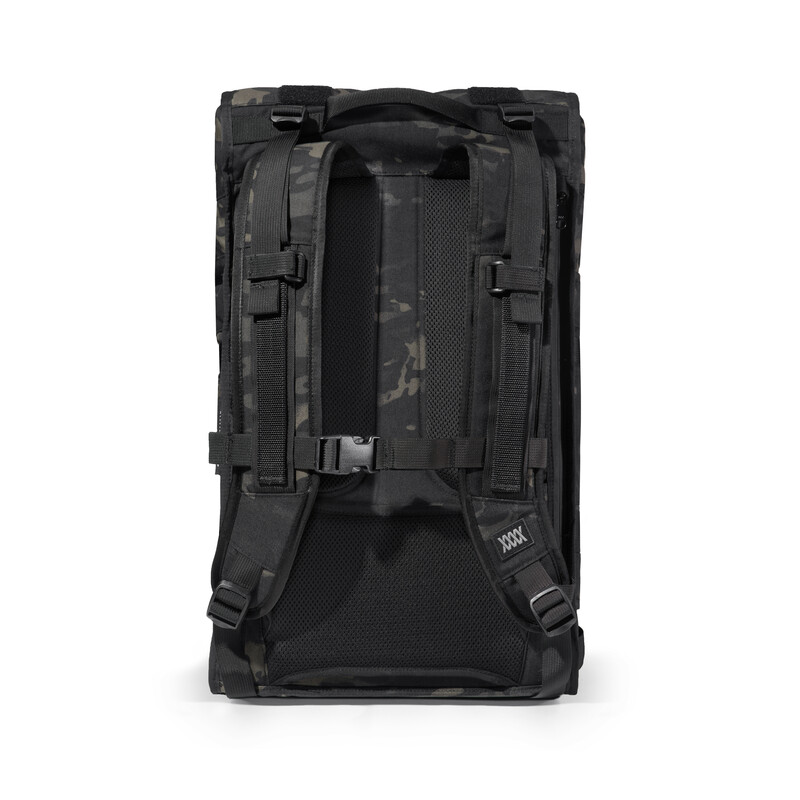 There are many excellent photo-focused bags and my all-time fav is the Thule Covert. While well made, thought out and popular, it’s not great at quick access. 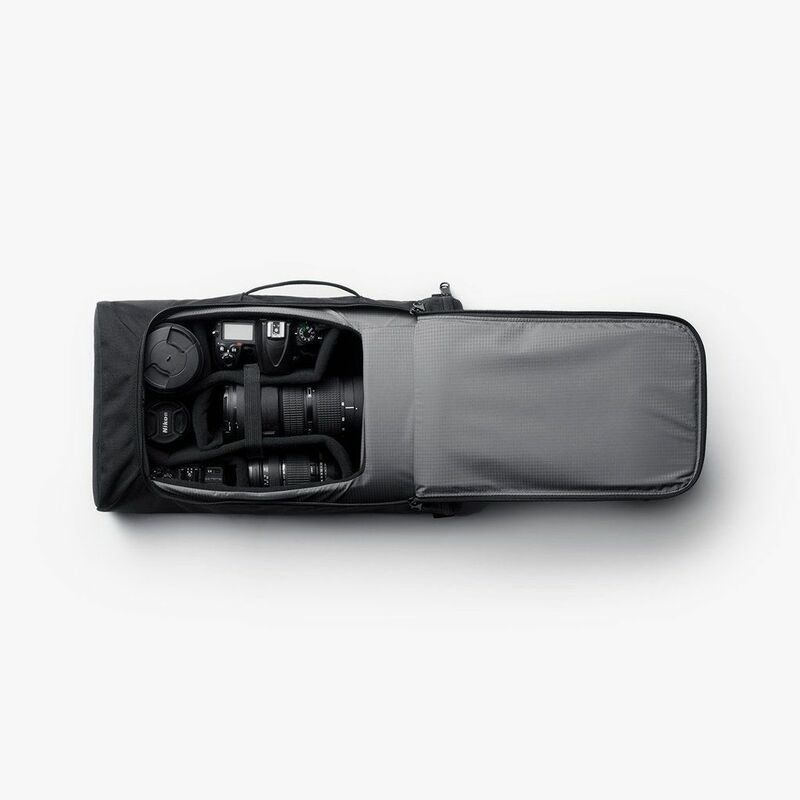 Mission Workshop’s designers must’ve spent years on the road with cameras or interviewed those of us that travel because they’ve made access to gear a priority. What you want to get to is accessed via two front pouches and a camera can be pulled from the capsule within seconds from the rolltop panel. And, the best part is the Rhake was made to fit onto the handle of a Pelican hard case. and my Twitter from the airport. Note you’ll want a bigger bag for long trips. The Rhake is designed for the occasional overnight and fits right under the airplane seat in front of you. Also important the shoulder straps are wide and comfy to distribute the weight when on the bike. Inside the configurable capsule, I’m carrying two bodies, three lenses, and accessories. In the pockets I stuffed an iPad, water bottle, jacket, and cables. 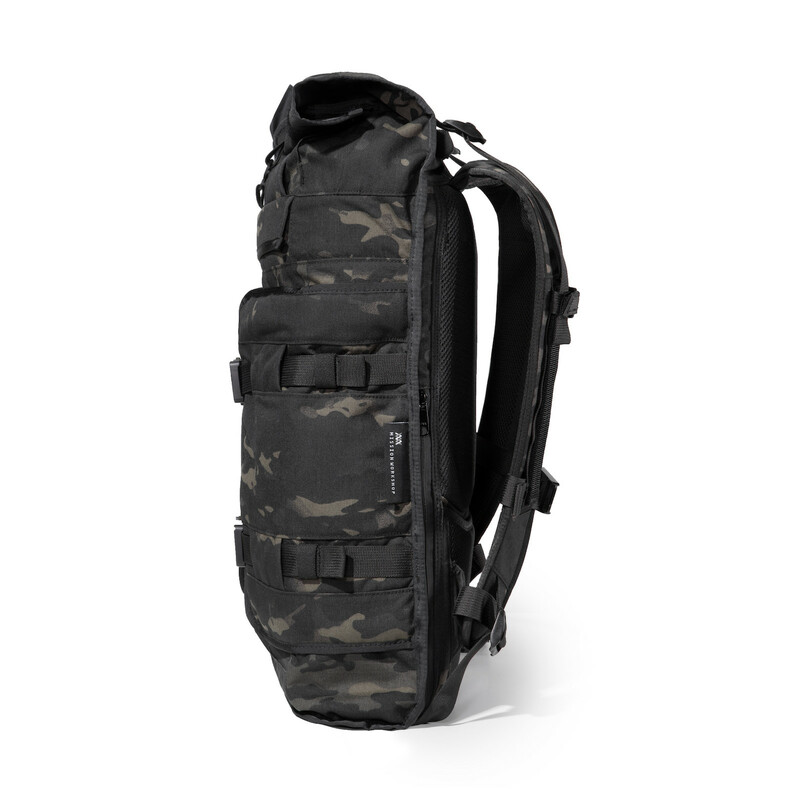 While not expecting to find the perfect bag, Mission has designed the closest I’ve found for shorter trips. The only complaint I have is items will fall out of the outer pockets because of their clamshell orientation. Not a big issue, I just don’t pack anything fragile in them. 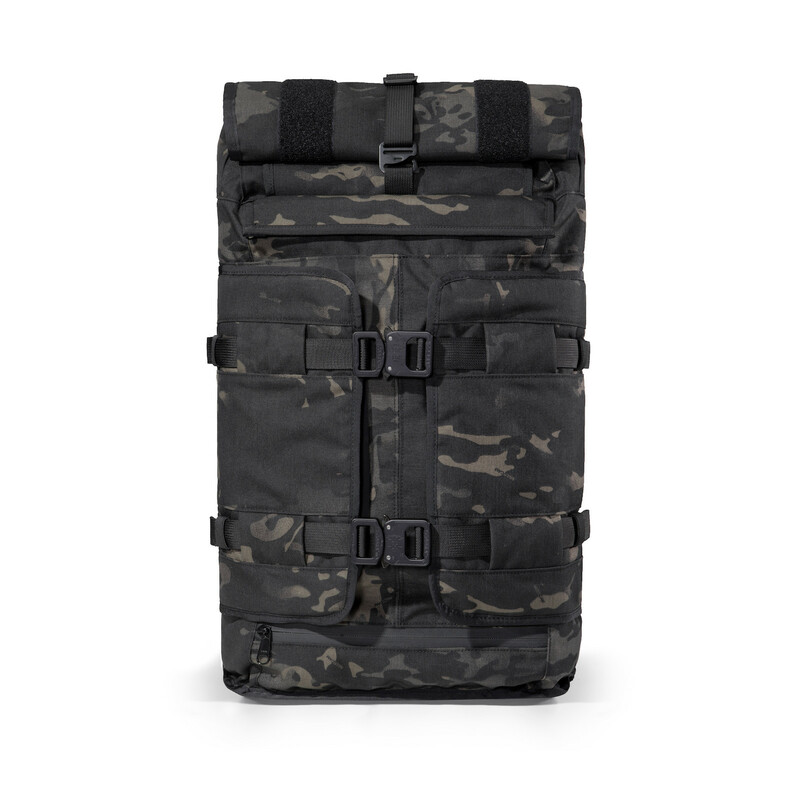 Mission Workshop bags are handmade in the USA and ship with a lifetime guarantee. Get your Rhake and capsule direct from Mission for $445 when purchased together. The Rhake is compatible with Arkiv accessories. I placed a phone pouch on the shoulder straps and attached a mini tripod to the side with the outer pocket straps. Two precision AustriAlpin COBRA™ quick-release buckles machined from the highest grade 7075 aluminum alloy (standard on Black Camo version, optional on other versions).